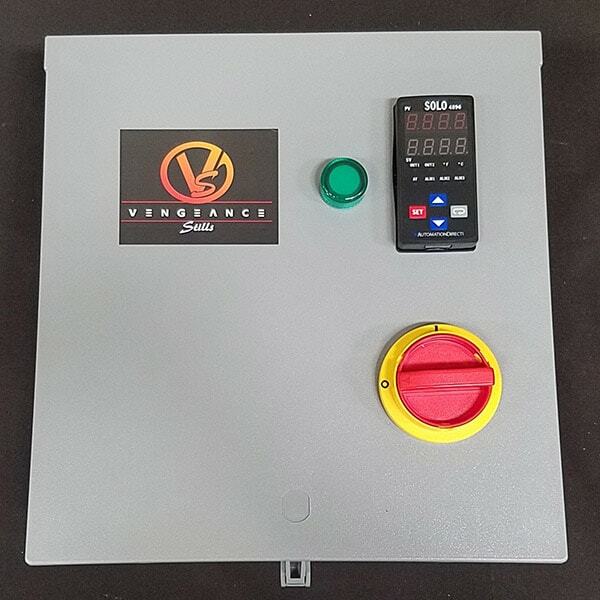 The V22 by Vengeance Stills is hands down the best value on the market for Variable Power Control. Connections are soldered and crimped. Relays are made in the USA by the most reputable manufacturer on the market. 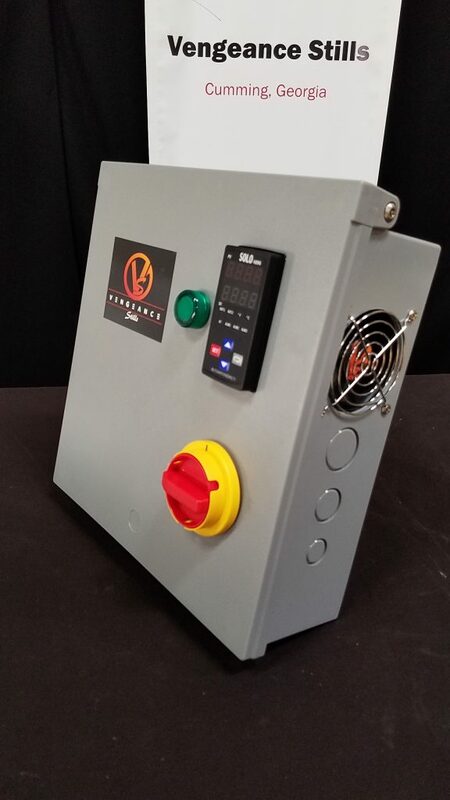 PID processor allows user to hold temps at predetermined set points or go into manual mode when your ready to boil and adjust on the fly. Controller adjust ALL FOUR elements simultaneously for non-stop consistency in performance. 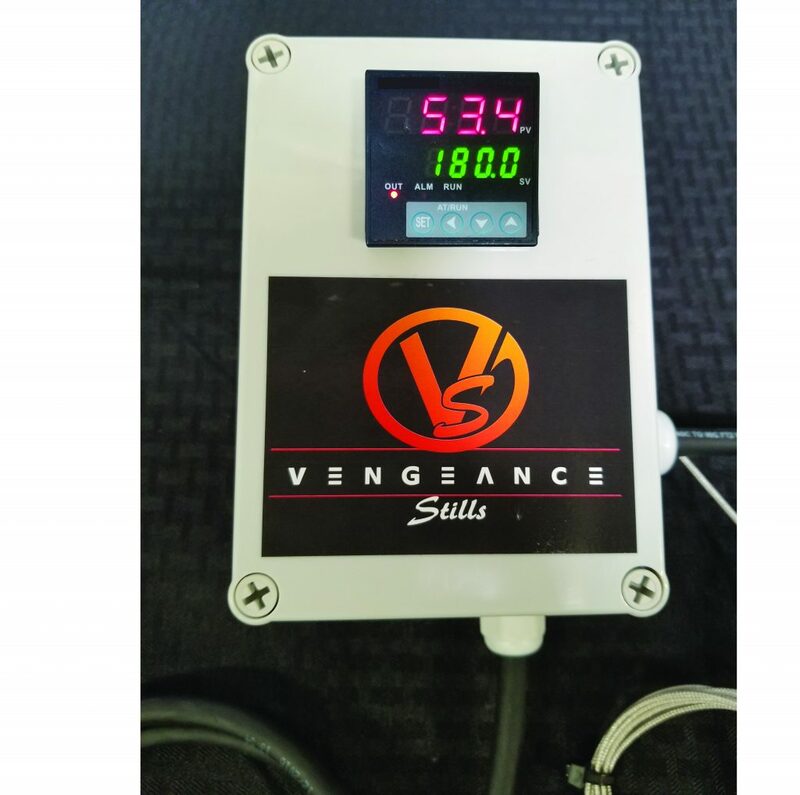 The Vengeance V22 will heats Pots up to 140 gallons. 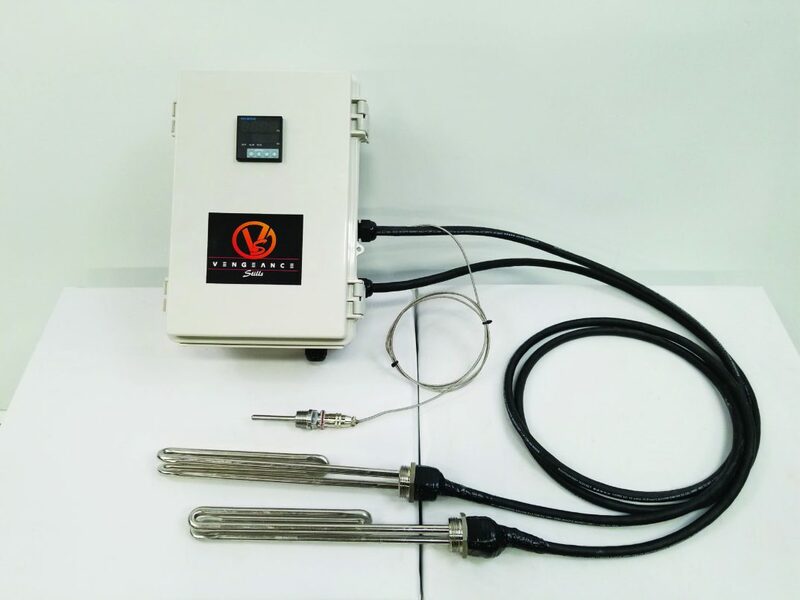 – FOUR 5500 watt Vengeance heating elements. We’ve been using the same elements for years and they are built to last. 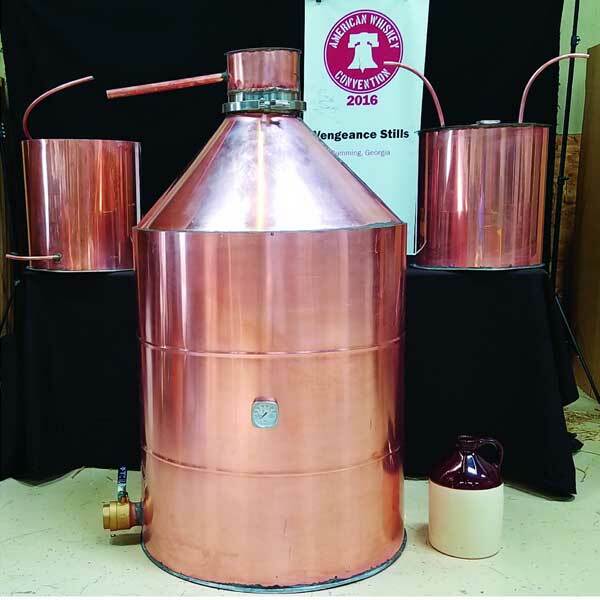 – FOUR 1″ bungs for welding to your boiler. 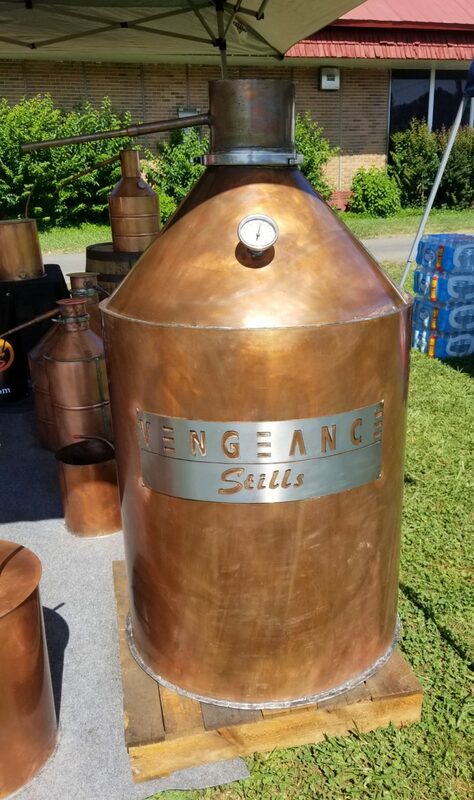 If our 120 gallon still is purchased, these will be welding in by us. 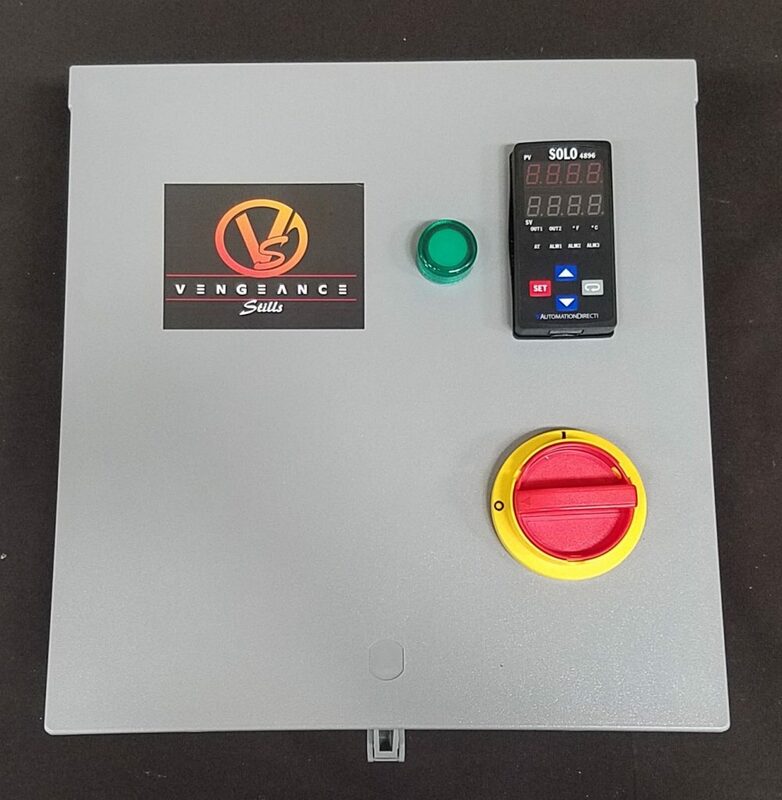 – 1000 Amp disconnect switch which trips all legs. – Green indicator light to let you know everything is powered up. Box size is 12″ by 12″ with a 3R NEMA rating. UL listed parts where applicable. **We offer onsite installation of controller and stills, just ask for a quote.